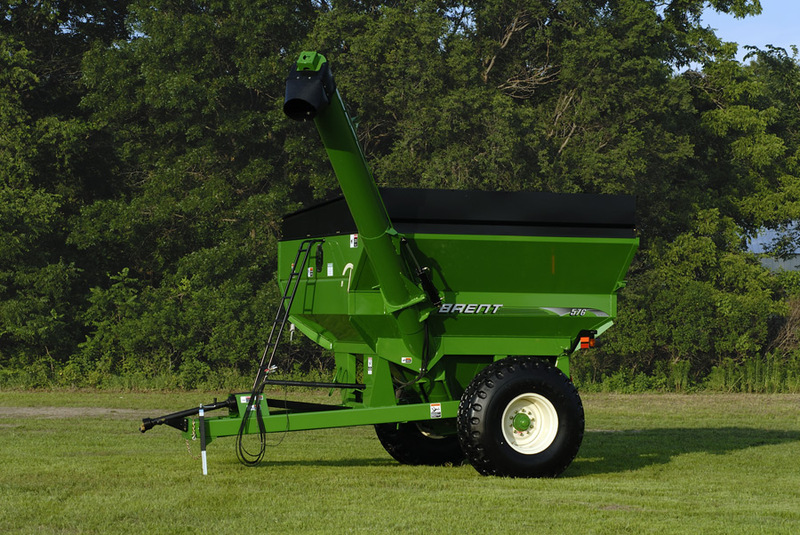 From start to finish, harvest goes smoother with a Brent grain cart. 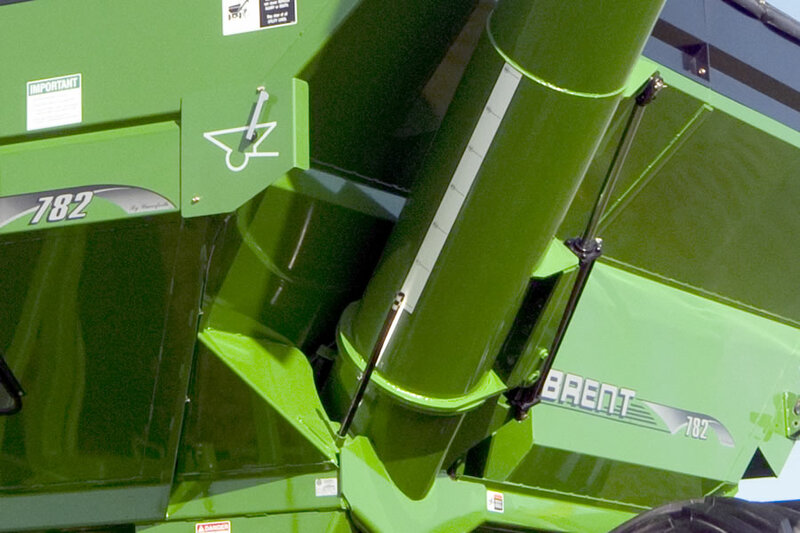 The Brent 678XL, 678 and 576 models of corner-auger grain carts feature 630 and 550 bushel carrying capacities, making it the right size for smaller acreage requirements. The side-fold, single-auger design allows the upper auger to be longer, increasing side reach and height, which allows the operator to drop grain straight down for greater control. For additional outward and upward reach, the model 678XL features an additional 1’ of auger side reach and 1’ 5” of additional auger height. 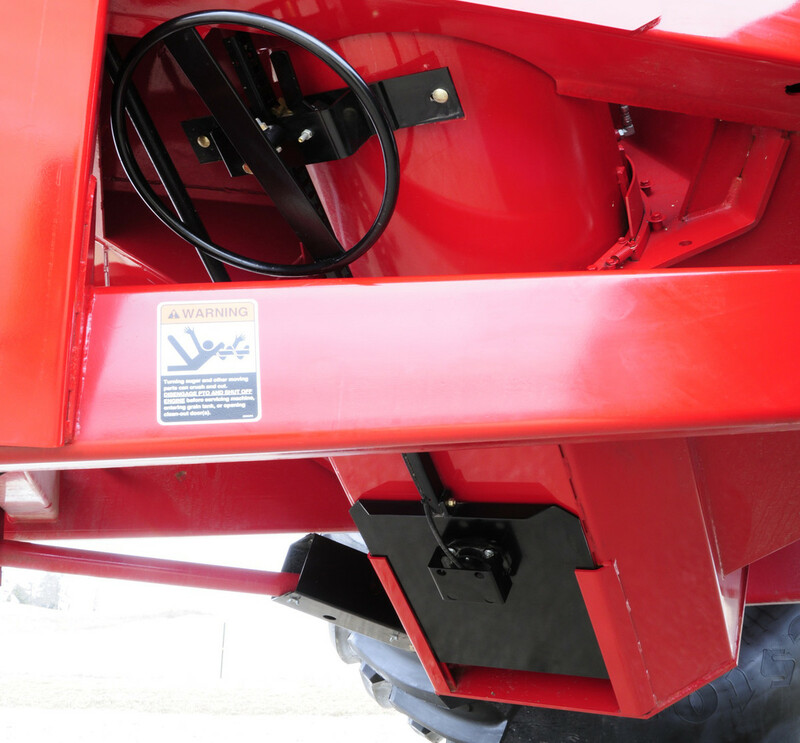 The 14” diameter auger provides unloading speeds up to 300 bushels per minute and the unique auger sump combined with the steep side slopes ensure quick and complete cleanout of grain during each unload. 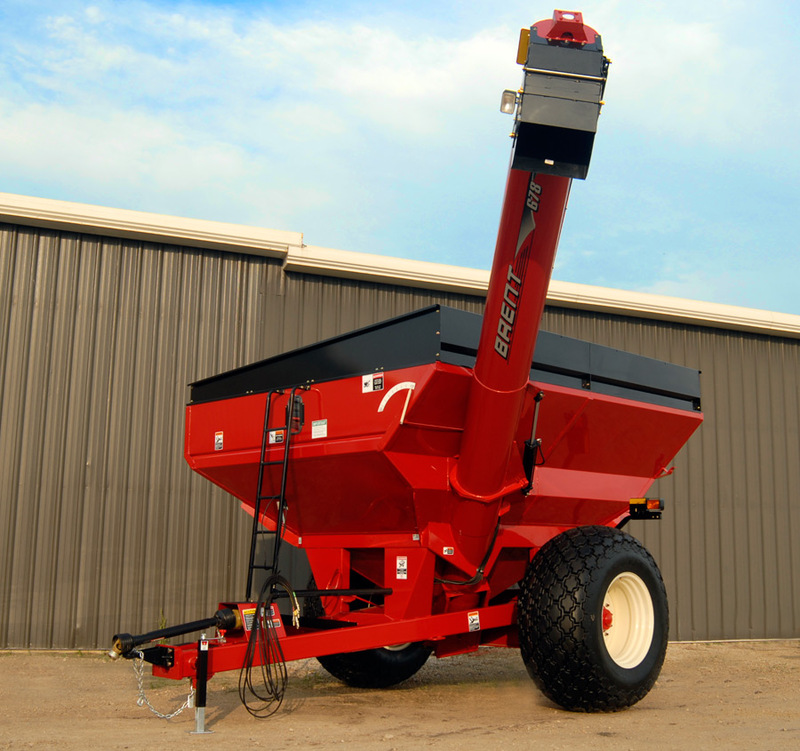 The Brent 678XL, 678 and 576 corner-auger grain carts offer high-capacity grain handling in mid-size packages. Single, corner-auger with a side-folding design increases the upper auger length for greater auger side reach and height. 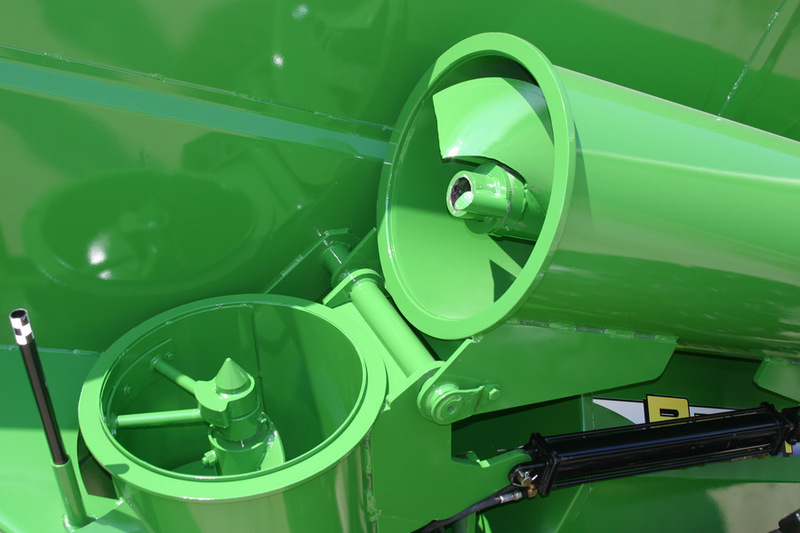 The 14" diameter auger provides unloading speeds up to 300 bushels per minute. 5/16" thick flighting for long-term, trouble-free operation. Models 678XL and 678 feature a standard two-way directional downspout that provides in-and-out control for easily topping off trucks. Model 678XL adds 2’ of auger length for additional side reach and height. This design offers an additional 1’ 5” of auger height and 1’ of auger side reach for loading into taller trucks. Spout-mounted LED unloading light for easy night time operation. 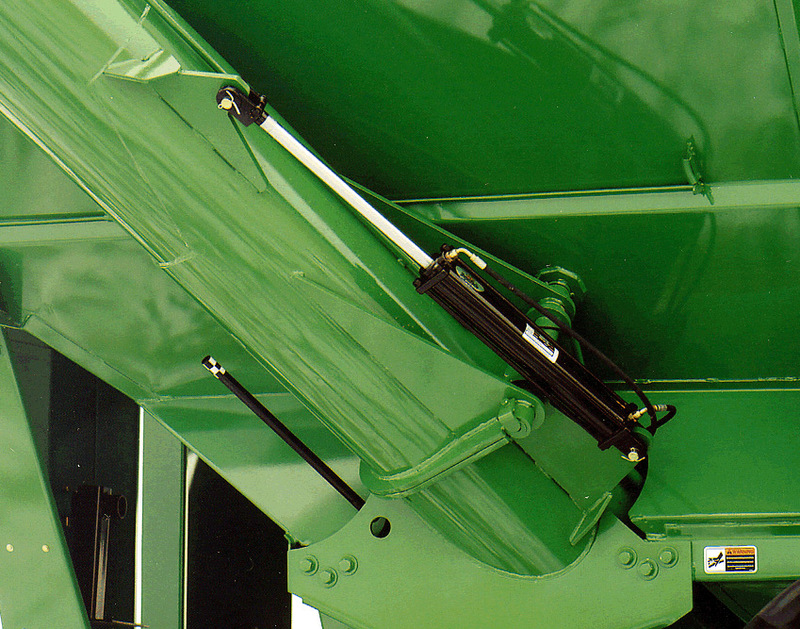 Exclusive,single-point auger connection ensures the upper and lower augers are aligned for a smooth and efficient transfer of grain between the upper and lower auger. Electronic balancing of the upper and lower auger sections virtually eliminates vibration for long-term life. The orificed auger fold cylinder gently folds and unfolds the upper auger into the loading and transport position. When in the unload position, the hydraulic locking mechanism holds the upper and lower augers tightly together for a leak-free seal. Models 678XL, 678 and 576 feature tank capacities of 630 and 550 bushels to meet smaller acreage or field requirements. 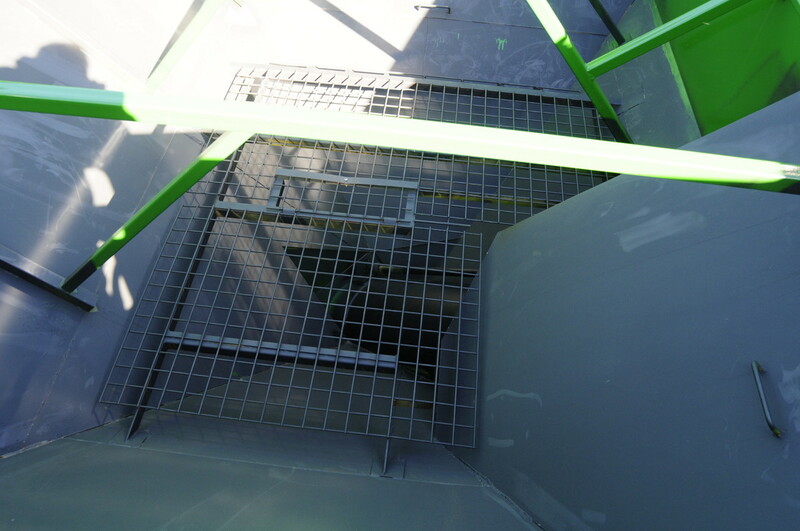 Tank features an exclusive deep sump design, which funnels grain down into the auger for fast and complete unloading. Steep 36° front and rear tank slopes and a graphite coated interior ensures complete cleanout and faster unloading speeds regardless of grain moisture. Hydraulically operated flow gate features a highly visible position indicator for easily controlling grain flow while unloading. 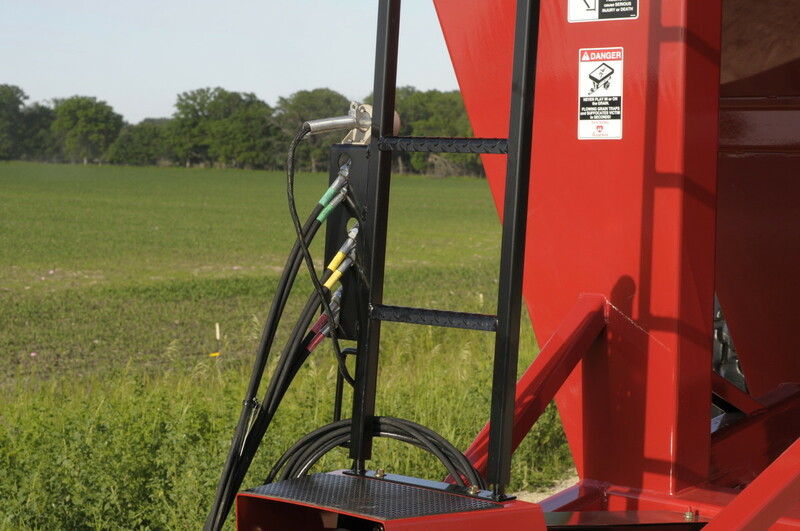 Conveniently located wheel-operated gravity unloading door located on the auger sump permits easy cleanout. Exclusive manufacturing process crimps side panels for added strength and exposed seams are silicone sealed for corrosion resistance. Durable, high-grade enamel paint is baked on in tractor red or green for a long-lasting and smooth, automotive-like finish. Front viewing ladder and front and rear shatterproof windows allow the operator to easily monitor tank contents. Standard transport chain, D.O.T. approved flashing LED taillights, side marker lights, reflective markings and SMV emblem for safer road transport. Color-coded and labeled hydraulic hoses with storage holder for added organization and convenience. 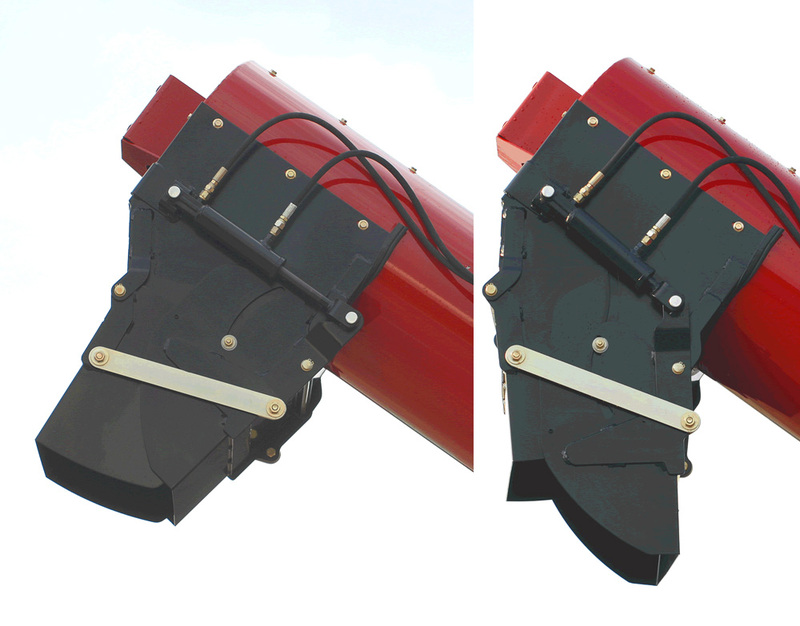 Grating over the auger intake prevents debris and foreign objects from entering the auger. 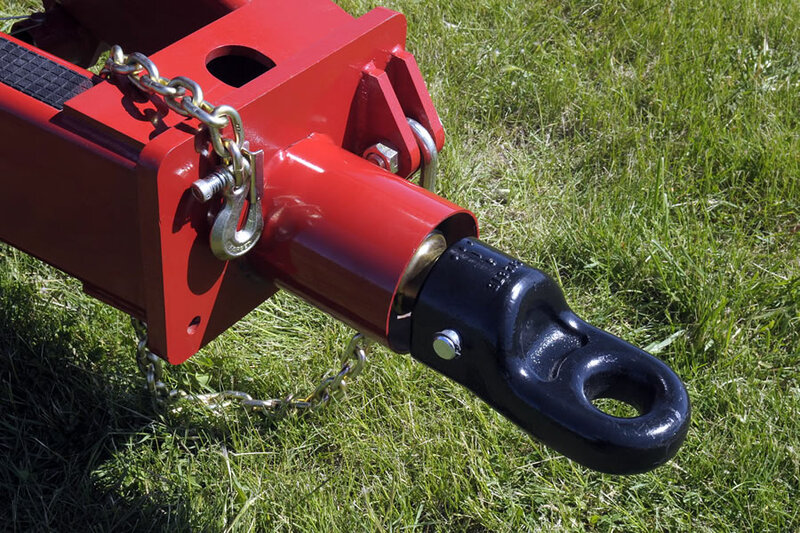 Single-tang hitch is standard on models 678XL and 678 and a clevis hitch is standard on model 576 for easy hookup and worry free towing. Single wheel and tire axles feature 10-bolt hubs with gusseted reinforcements and 3 1/4" special alloy, high-tensile spindles on models 678XL and 678 and 2 7/8” spindles on model 576. Exclusively designed, heavy-duty 45° gearbox features a 1 3/4" output shaft for trouble-free operation. 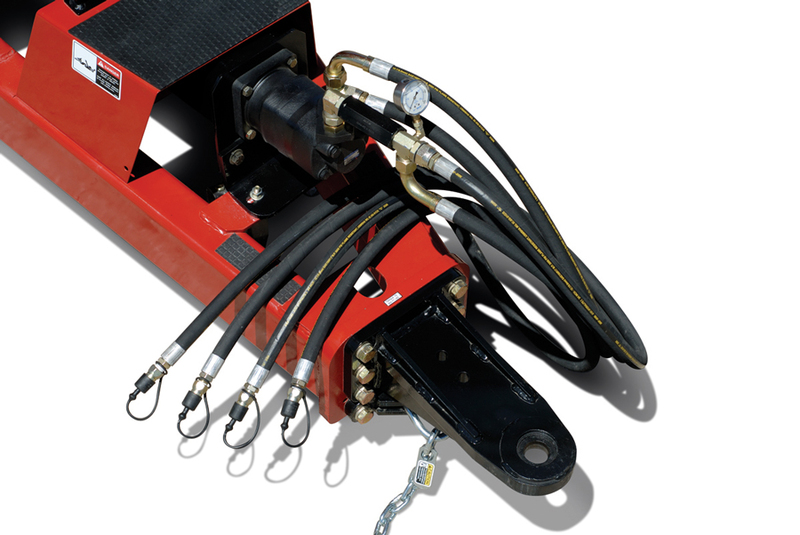 Heavy-duty side-wind jack is easy to operate for convenient tractor hookup. Single wheels and tires with a rigid axle and a variety of tire sizes available depending on model. 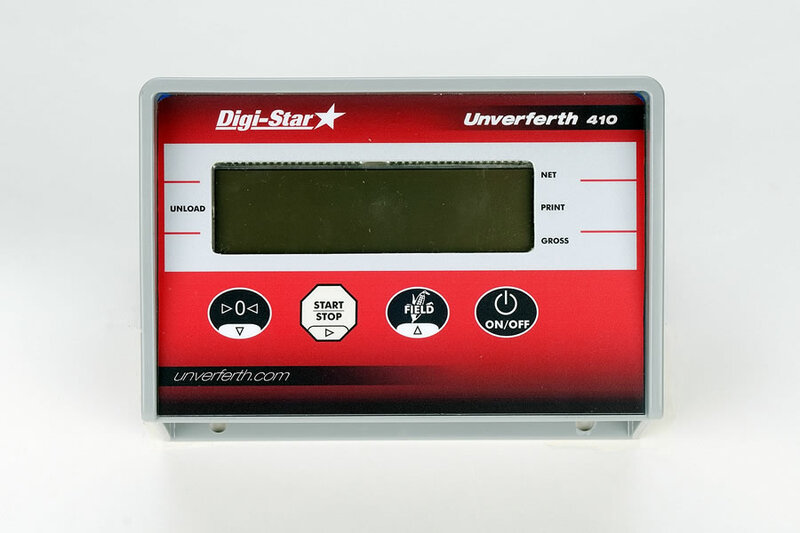 Scale display specifically designed for ease of use with the patent-pending start/stop button. Assign, view and change six character field information and accumulate weights within a field. 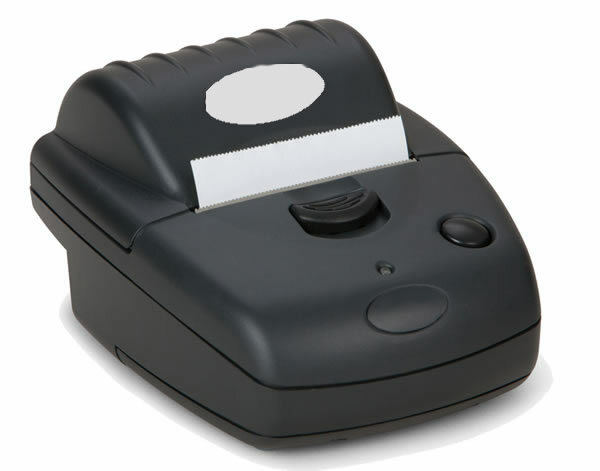 Optional printer is required for record keeping. Custom-designed with heavy-duty, 18 oz. black canvas for long life. Semi trailer locking design for optimum protection from high wind and moisture. 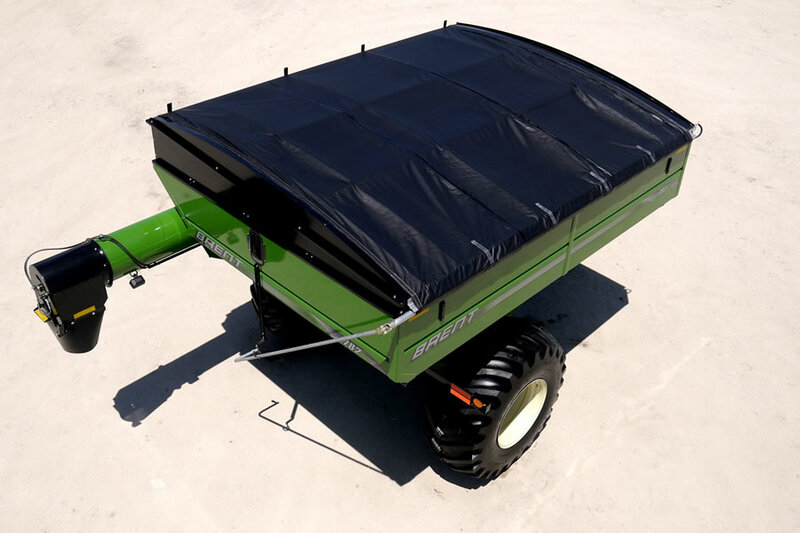 Low-profile tarp bows are reinforced to eliminate sagging. 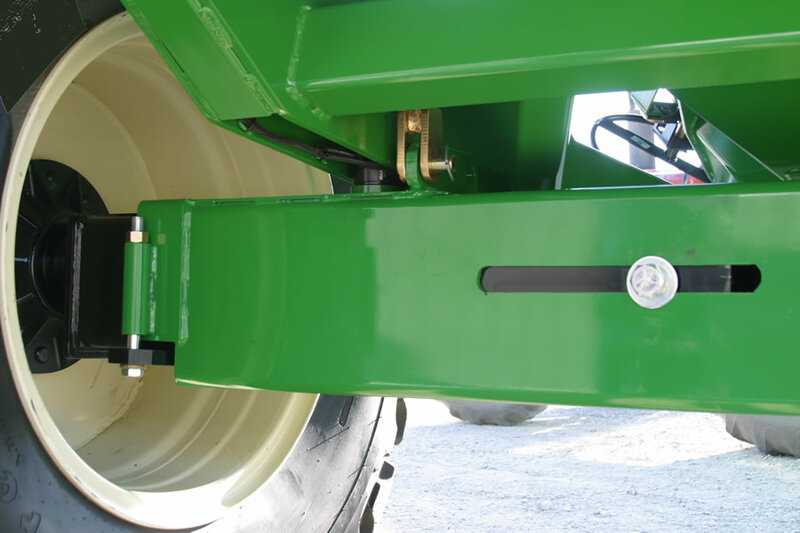 Tongue-mounted for easy installation - the grain cart can still be operated with a PTO if desired. 55 gallon per minute provides up to 300 bushel per minute unloading speeds and requires 2 sets of hydraulic ports.